Who can become a Patient & Family Advisor? This role is open to all Sunnybrook Department of Psychiatry patients and their family members. Why do we need Patient & Family Advisors? 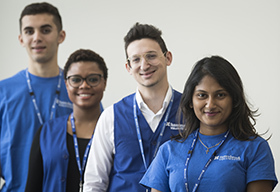 Patient & Family Advisors (PFAs) will help the Department of Psychiatry promote a culture of patient and family-centered care by working collaboratively with mental health providers at Sunnybrook. This will help to ensure that lived experiences are heard and integrated into quality improvements, community outreach and promoting department services. What is the role of a Patient & Family Advisor? Patient & Family Advisors will have a consultative and advisory role, providing ideas and recommendations to help us ensure that the patient’s and family’s point of view are integrated into service and quality improvement projects throughout the Sunnybrook psychiatry program. PFAs will be invited to become part of all aspects of planning, service delivery and policy development decisions that affect patients and families. Most importantly, the PFA will provide the healthcare and management teams in the Department of Psychiatry with a unique perspective that will help to further improve the patient and family experience. Although this Advisory group will be an opportunity to add a valuable perspective to help improve our work, it will not be the place for individuals to advocate solely for personal grievances about clinic/hospital experiences – we are looking for collective, constructive feedback, and the willingness to work together with us to find solutions and to listen to the perspectives and experiences of others. However, all grievances are welcome to be given to the Office of Patient Experience or to the Chief of Psychiatry and they will be presented in an anonymous format to our Patient & Family Advisory Council where necessary. As a Patient & Family Advisor, you could also apply to join the formal Patient & Family Advisory Council (PFAC) through a further application process. The PFAC will meet 10 times per year, will include 13 patients/family members/caregivers, and 5 staff members – all with as wide representation among disease sites and care units as possible. This council is currently selected, but we will keep a list of those who are interested in sitting on the council as natural turnover occurs. 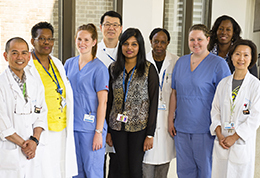 The Sunnybrook Department of Psychiatry Patient & Family Advisory Council aims to ensure that the voice of patients and their families is at the heart of the provision of world class care, exceptional service and compassion in our Sunnybrook Department of Psychiatry. PFAC's objective is to engage patients and families in partnership with Sunnybrook to discuss lived experiences in order to develop recommendations to improve mental health services and support to patients and their families. The desire to participate and collaborate to bring meaningful change to mental health care by contributing to improving and promoting department initiatives acoss the whole department of psychiatry. 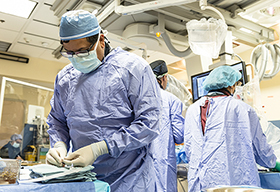 The ability to work together with other families, patients and healthcare providers, to make recommendations and improvements, to be presented to our Medical Staffing Committee and other decision making committees. 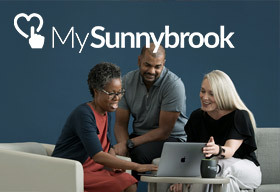 Express your interest in becoming a Patient & Family Advisor through your Sunnybrook Psychiatrist or the Department of Psychiatry. You will be provided with a short application form. Once reviewed for eligibility, we will call you for a brief phone interview.